This evening I was with my daughter Phoebe, enjoying some laughs in the kitchen whilst making some Rice Krispies treats with Chocolate and Peanut Butter chips. Melt butter and marshmallows in the microwave for 2 minutes (stir after 1 minute and then microwave for the other minute). 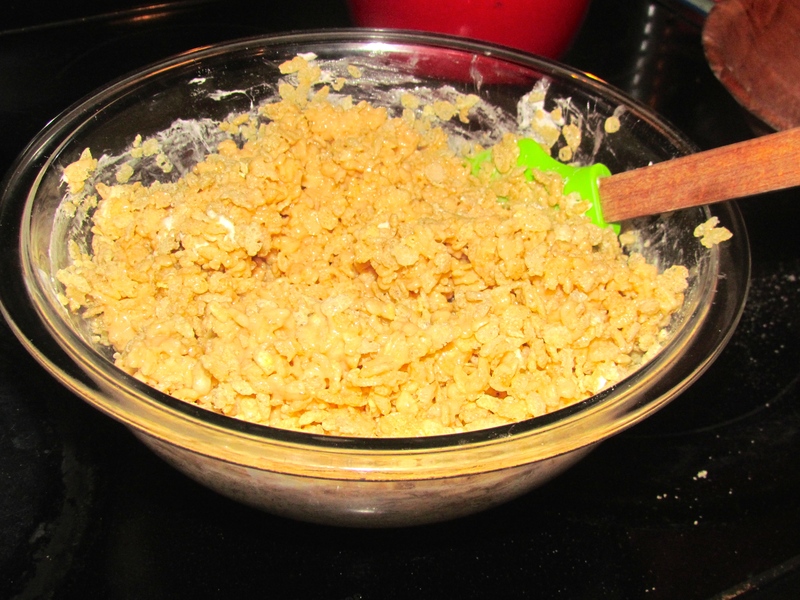 Stir to mix well, add rice crispy cereal and then place in buttered pan and press down. Leave to cool, cut into pieces and enjoy! That is the basic recipe, use your imagination as there are endless possibilities! 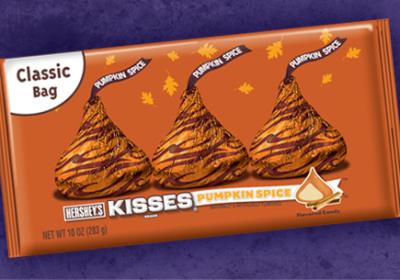 Anyway, back to my story, as we were finishing off the Chocolate and Peanut Butter treats (added 1/2 cup of choc chips and 1/2 cup of peanut butter chips), I came across a few bags of Pumpkin Spice Hershey’s Kisses. My daughter who loves Pumpkin anything just like her mama, asked if there was a way to make Pumpkin Spice Rice Crispy Treats………and I answered, there is a way for everything! We melted the butter and marshmallow in the microwave. 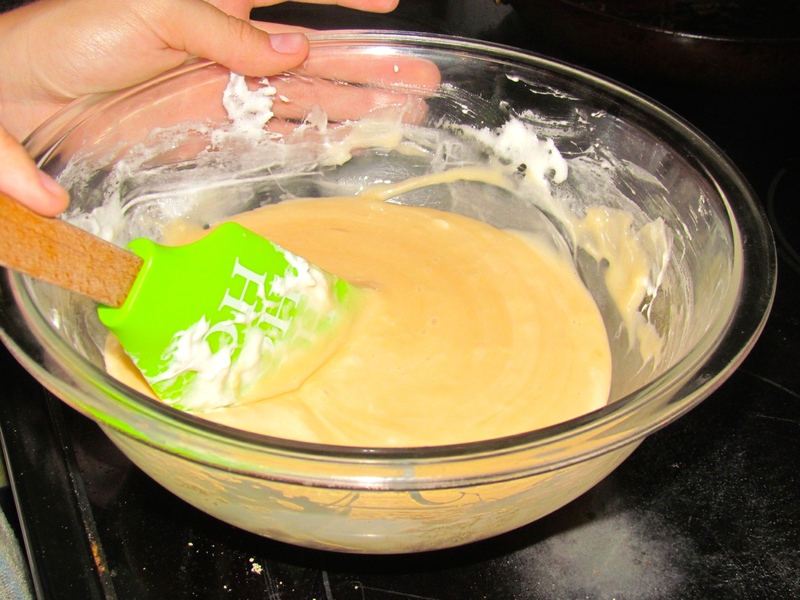 Then we added about half a bag of Pumpkin Spice Kisses and let them melt into the mixture. 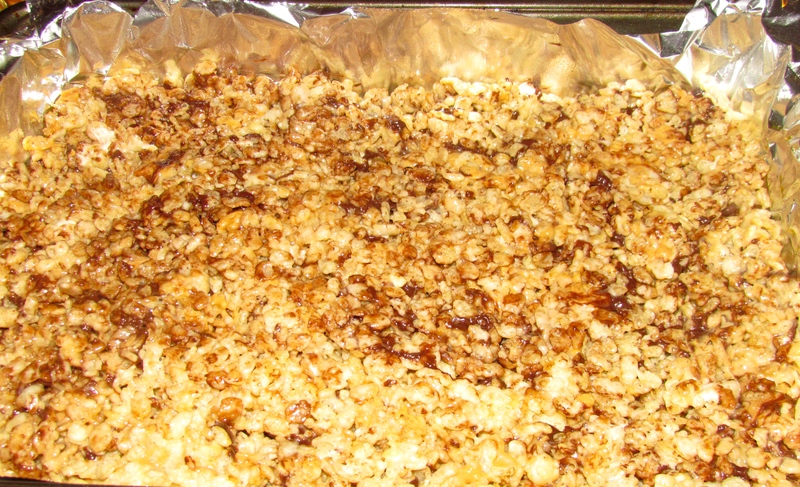 Added a dusting of Pumpkin Pie Spice followed by the rice crispy cereal. 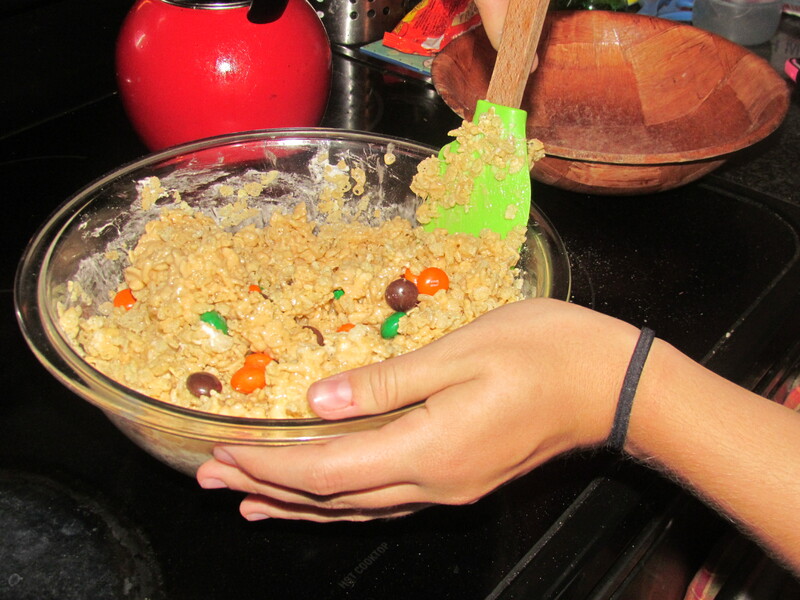 Once mixed we added a handful of Pumpkin Spice M&M’s for flavor and color! For the Pumpkin Lovers out there, it came out amazing! Thank you Phoebe for the inspirational Pumpkin Moment! Next Saturday Breakfast in bed…….